If you are searching for Wheeling movers, All Ways Moving & Storage® is the mover of choice for you! 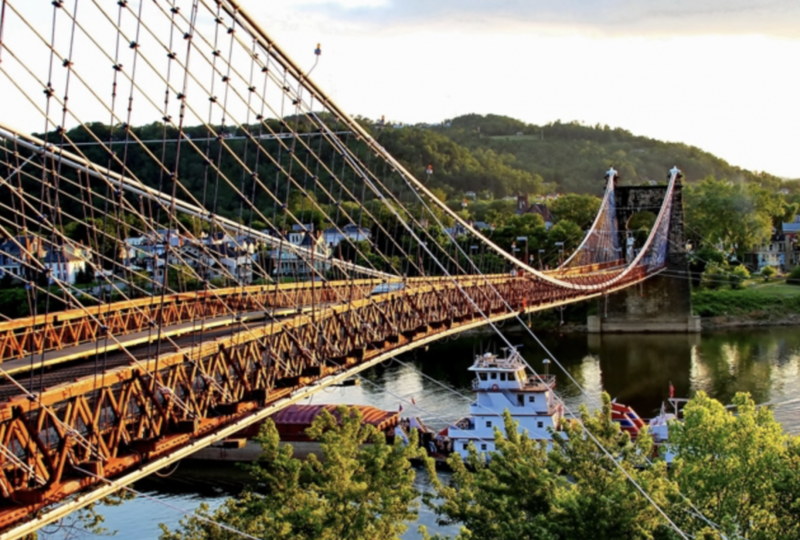 Wheeling, WV is located at the foothills of the Appalachian Mountains and Ohio River. Wheeling was the first state capital for West Virginia, and known for manufacturing in the nineteenth century. Home to Oglebay Park, Wheeling Island Racetrack Gaming Center, and Capitol Theatre, there is something for everyone in the way of entertainment in Wheeling, WV. All Ways Moving & Storage® provides full-service Wheeling movers in Wheeling, WV and the surrounding areas. We specialize in Household , Commercial, Employee, and Government relocations. We also service Local, Intrastate, Long Distance, and International moves. Since 1913 we have been the leading moving company in the tai-state area. We offer excellent customer service, personalized moving, and end-to-end solutions for a seamless moving process. Moving can be a stressful and costly process. It is best to use a dependable Wheeling mover who has your best interests in mind. All Ways Moving & Storage® is locally owned and operated through four generations. It would be our pleasure to provide you with a smooth and stress-free move in Wheeling, WV.